Esports Earnings is a community-driven competitive gaming resource based on freely available public information. Whether they're million-dollar tournaments with corporate backing, grassroots tournaments with a humble prize pool, online cups, or even show matches and money matches, we want to record all tournaments awarding prize money to help make information about the games and the communities easier to access for everyone, and show the world the tremendous growth in video game competitions. 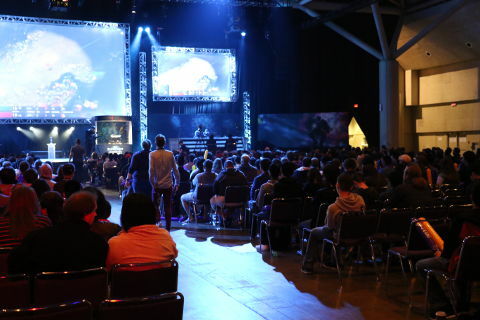 Video game history includes esports history. This website provides prize money rankings, as well as historical data on events spanning nearly two decades. All data in the website is entered manually, using a variety of web forms where users can enter names, dates, prize amounts and other details. Once the data has been added to the database, all calculations, such as prize money rankings and tournament results, are done automatically. Listings are updated within minutes of new data being added. If our goal is to make researching esports easier, then the sources where the information is coming from must be made available to the researcher, whether it be a student writing a report on esports, a data analyst at a research firm, or a journalist reporting on esports. Every tournament page has a list of references that corroborates with the information shown on the page. Think of how Wikipedia cites sources on their pages and how those sources make their pages reliable. We want the information on our pages to be just as reliable, so you can be confident in using that information for your own projects. It may be trivial to find information on a single tournament, but try doing this for thousands of them. It's very difficult. Player results are incomplete. Entire tournaments and events are missing. Team rosters are still unknown. Some of this information is hiding in non-English websites. Finding and recording this history is esports mayhem, and as such, we cannot guarantee 100% accuracy. All data is provided *as is* without warranty of any kind. The website is community-driven, meaning we rely on members of the esports community volunteering their time to contribute information. It can only be as accurate as the community willing to make it so.